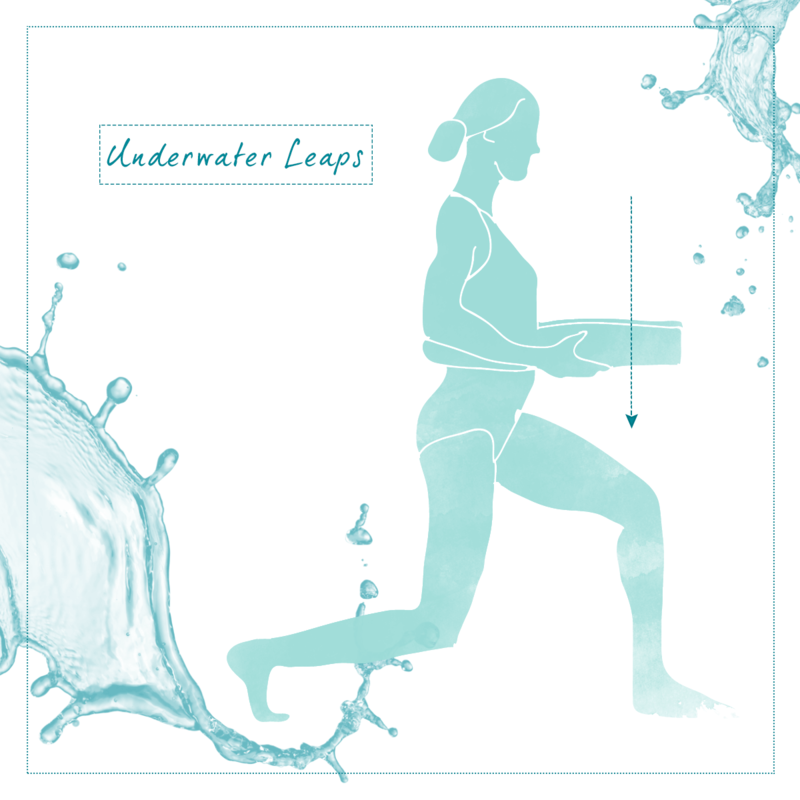 Special workout: full body pool exercises underwater fitness. Work arms, legs, abs and bottom using the pool like your gym machine circuit. If you are used to having a full-body circuit workout at your club using machines it’s time for a rethink. Like most people who use a gym, this is the place most people are comfortable with working out and most think of the pool as a place to swim. But there are plenty of exercises you can do at the pool by yourself that have the benefit of being low-impact. Time to switch up your routine! Our ‘map’ helps you to use your pool time effectively. With this exercise routine you don’t need to stick to the machines to get a full workout that meets your needs, sculpts your body and allows you to enjoy your training. Adjust the amount of repetitions and intensity to your goals and keep it challenging enough. Push your straight arms in front of you with palms facing forward. Push back with palms facing backwards. Water will provide all the resistance you need. Keep your back straight and knees slightly bent. These will increase the fun you have while you workout. 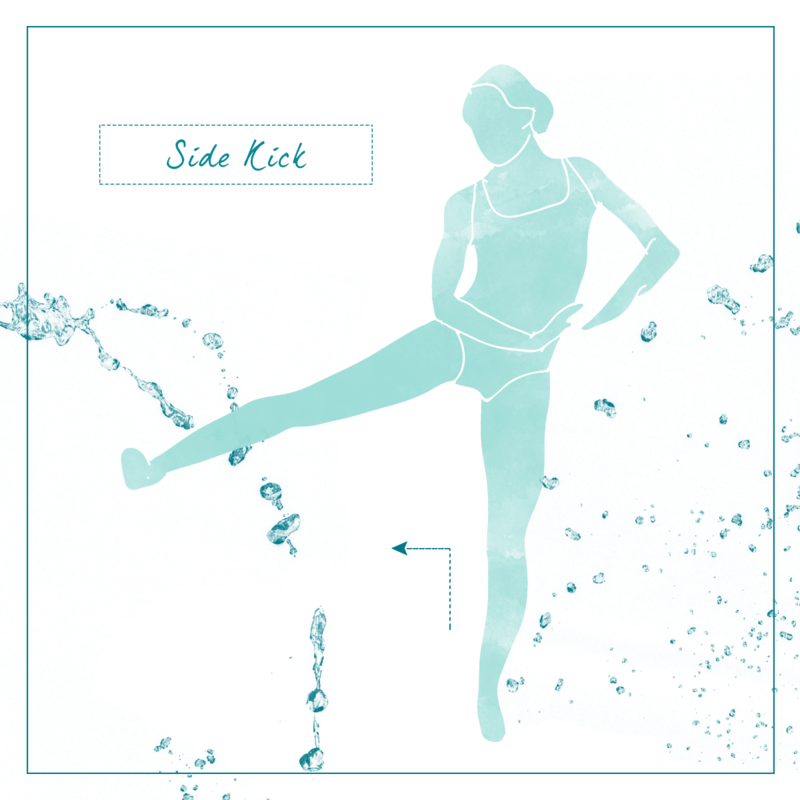 Try not to touch the bottom of the pool for the complete kick to increase the challenge. 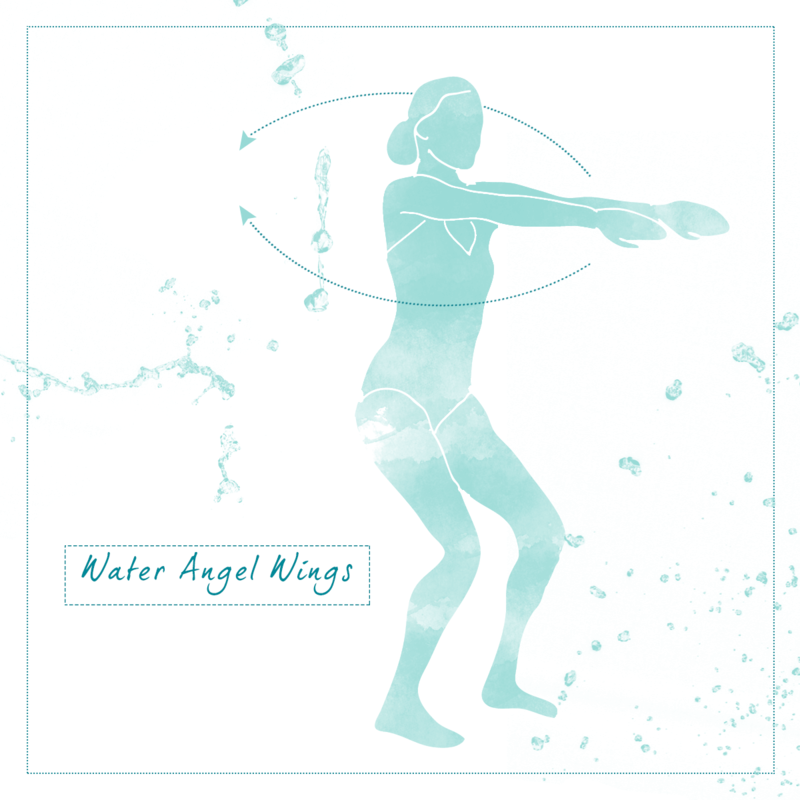 Using the edge of the pool to support your arms and back bring your legs upwards in a straight motion alternating them. 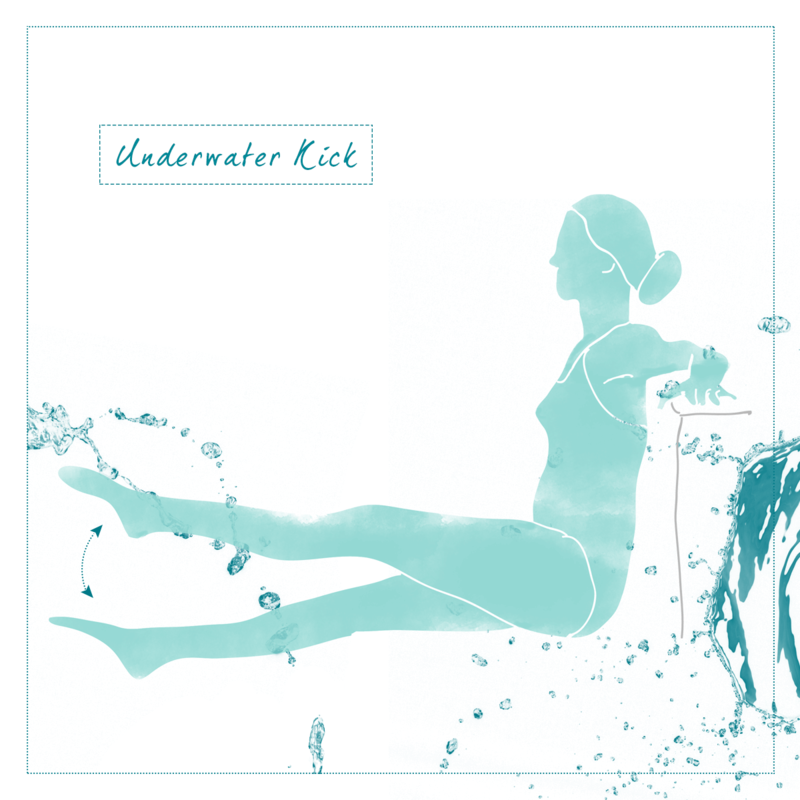 Imagine underwater deep lunges with rhythm. Keep your pace and press the pool floor as you jump. Feel ready? Find a Holmes Place Club near you. Posted in Fitness and tagged Pool, Workout, Underwater fitness, Water fitness, Swimming.